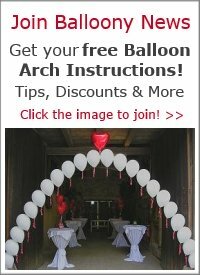 For a 17" latex balloon you should buy tulle with at least 34 inches width (2 times the balloon's diameter), as you want to cover the whole balloon. 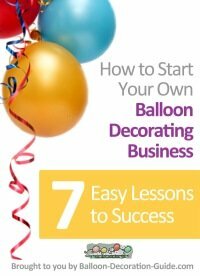 How many yards you need depends on the number of balloons you want to make. Hope that helps! 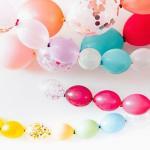 Would love to see how your tulle balloon turns out! Comments for How much tulle do you need to cover a 17" latex balloon? 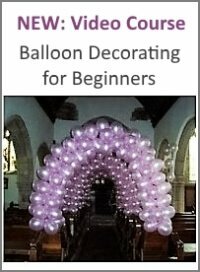 For balloon decorations it's best to use the cheaper version of tulle that's made entirely out of nylon or polyester. I like purchasing at Amazon. Prices are good, and delivery fast. Here's one example of a tulle used for crafts. If you need it in a different color, just search for the product name and add the color to your search. What brand of tulle would you recommend? Or please give a website or source where you get your supply? Being thorough I want to make sure I purchase the lightest of weight that I can the first go round without incident. Thank you! The tulle's width should be at least 2 x the balloon's diameter. So in your case it should be 48" wide. How many yards you need depends on the number of balloons you want to make. How much tulle does it take to cover a 24" balloon?